Do you have a question about the best way to pretotype an idea, how to apply pretotyping metrics to your experiment or about some other aspect or technique of pretotyping? Please use the form below to ask any question about pretotyping and I will answer them. 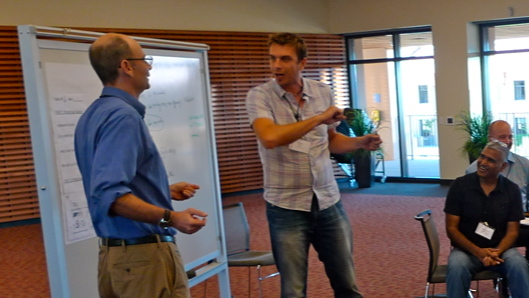 Alberto leading a pretotyping coaching session at Stanford.